A while ago, in an interview for Postscapes I was talking about a start-up, good friend of ours and spin-off of our research group at ETH which was building plant monitoring sensors. I had the chance to test them and was rather amazed by this practical, truly Web of Things type of project. 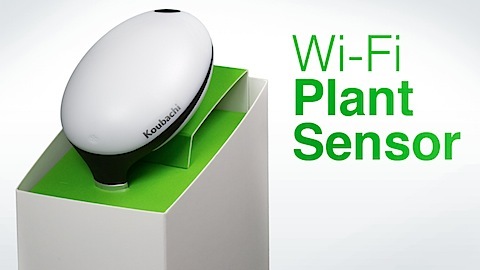 They are just about to ramp-up production of their first hardware product – a WiFi Plant Sensor. Internal sources told me it’ll be launched in Spring 2012 but we’ll keep you updated on this one. Meanwhile, the guys are currently launching a Web version of their plant monitoring iPhone App. It’s currently in private beta, but we have invites for 50 Web of Things readers. Just visit my.koubachi.com and enter the code WOT2011. So WoTters and plant lovers, make sure to check it out! Next story Tourism and the Web of Things?